as I see it: Munni.. err.. Marketing ka Mayajaal ! Munni.. err.. Marketing ka Mayajaal ! So, the movie became an instant hit, beating 3 Idiot's record of biggest opening on box-office or something and quite expectedly, a super duper hit Salman Dude Khan's movie with an item number featuring Malaika Arora Khan had to be a HIT. And so it did. 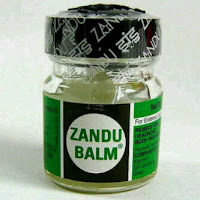 And here came in the twist, Emami sues Dabangg for using ‘Zandu Balm’ name in ‘Munni Badnaam’ song (http://goo.gl/uLFQ). This is just one of these links. You can see how this news spread like wild fire all over (http://goo.gl/VfOz). The company has reportedly sent a notice to Arbaaz Khan Productions Private Limited, claiming that it's the sole copyright holder of "not only the product, but also the name Zandu Balm"and asked the producers to withdraw the song or delete the name of the product from it, failing which it might take action against them. And not much after this we did see Zandu Balm's new ad with a clipping of the song Munni Badnaam and a voice over saying something like "Munni Ka Favourite Balm, Zandu Balm... etc etc." Mere coincidences? 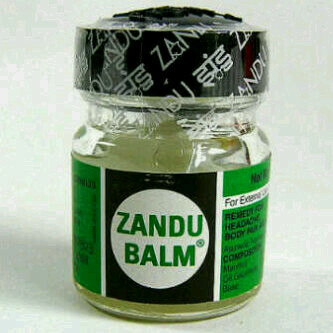 A brand like Zandu Balm who hasn't used any TV Commercials for really really long now all of a sudden grabbed upon an "opportunity" in an "out-of-court settlement"? Who knows? Maybe it was a well planned out strategy (Abhishaik strongly advocates it). Out-of-court settlement of Malaika being the brand ambassador and a new Zandu Balm ad to use the song's clips! The sequence of steps seem to smooth and quick to sound true! Kya khela hai! Waah! Marketing ka Mayajaal! Consumer is caught unaware of how brands are being placed in their heads. Is it the right way? They say, everything is fair in love and war. Yaha kaunsa love aur kaunsi war? Maybe, we should change it to 'Everything is fair in love, war andprachaar'. By the way today, I saw yet another ad of Zandu Balm featuring Virendra Sehwag, Dinesh Karthik and Amit Mishra. Any connection with Delhi Daredevils now? Prospective sponsor? And does this also mean that these 3 players would remain with Delhi Daredevils even after the new auction process? Badnaam huey to kya hua, Naam to hua!